Running back position battles are a hot topic this offseason and I have zeroed in on four of them. 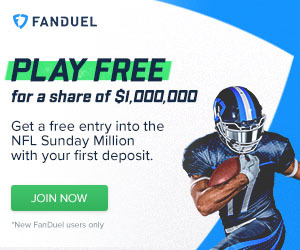 The Dallas Cowboys, Denver Broncos, New Orleans Saints, and the Philadelphia Eagles have very hot running back position battles going on and they all carry fantasy implications with them. 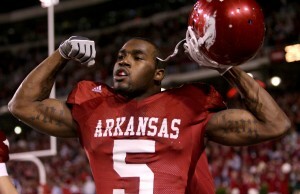 Darren McFAdden hopes to revive his career in Dallas behind the great Cowboys offensive line. leaving them with 2014 backups Joseph Randle and Lance Dunbar. The Cowboys then signed Darren McFadden from the Oakland Raiders. I believe that Darren McFadden will win this battle to be the first string running back for the Cowboys, but Joseph Randle will definitely have a role with the Cowboys. The word out of Dallas Cowboys' minicamp is that McFadden has shown a great burst of speed that Murray did not have and is able to use his great speed on cutbacks and to hit a small hole and take it a long way. 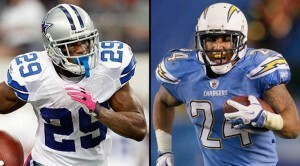 McFadden, like Murray is a good receiver out of the backfield which fits perfectly with the Cowboys offense. Murray averaged 43 catches a season with the Cowboys and McFadden has averaged 30 catches a season with the lowly Raiders. The negatives with McFadden is that he has only averaged 12 games per season while being in the NFL and is already nursing a sore hamstring. McFadden is also known to fumble the ball at times and that can mean the difference between a win or loss in a tight game in the actual game and in a fantasy matchup. In one fantasy football league I am already signed up for McFadden has an offseason overall ranking of 99, which is way to low for him. They didn't even have him in the top 30 running backs. I think if he can stay healthy and play in 14 or 15 games he will definitely be a top 20, maybe top 10 fantasy running back. The games he does miss, picking up Randle would be a smart idea. The Denver Broncos also have a very competitive running back battle going on between C. J.
C. J. Anderson hopes to build off his success from the 2014 season and hold off Montee Ball to be the Broncos' starting running back. Anderson and Montee Ball. Anderson burst onto the scene last season, rushing for 849 yards and 8 touchdowns in 15 games. Anderson also caught 34 passes last season for an additional 324 yards and 2 touchdowns. 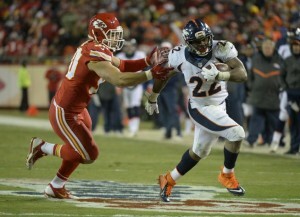 ESPN staff writer Jeff Legwold quoted new Broncos head coach Gary Kubiak as saying that Anderson should enter the team's offseason program acting as if he is the team's starting running back. "I think in this league as coaches you look for guys that can be three-down players," Kubiak said. "When you have two-down players, that's fine, but it's just very difficult in the game standpoint and getting them the ball and calling the game when you're not out there all the time. He has a knack for protection, he's very bright in protection. So he's a guy that’s not going to leave the field -- as much as he can stand. And that's what the great ones do, so that gives him an excellent chance." Montee Ball is pushing Anderson hard in what he hopes of creating a 1A, 1B rotation. Ball has got to get better in the passing game. He did not get much experience in the passing game while in college at Wisconsin, so he needs to work on his pass catching abilities and his pass blocking as well. Anderson will be the starter in Denver next season and will be a top 10-15 fantasy back this upcoming season, but if Ball stays healthy he will take away some of the carries Anderson got last season. Anderson will also get you points in the passing game as well. 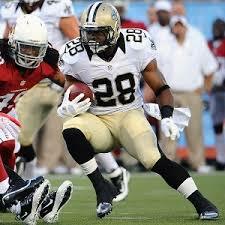 Mark Ingram and C. J. Spiller will be battling for playing time in New Orleans. Mark Ingram should be the Saints leading rusher this season. Ingram will be the leader in rushing attempts between these two for sure. He is the bigger of the two and can make runs between the tackles that Spiller at 200 pounds is not able to do all the time. Also, when the Saints are in the red zone they will be calling on Ingram to pound the ball in the end zone. In my mind C. J. Spiller would not have much fantasy value except for the fact that he will have Sean Payton calling the plays and he is brilliant at getting his best athletes the ball. Spiller will be used on sweeps, reverses, draws, screens, anyway Payton can get him in open field to use his breakaway speed. With the loss of tight end Jimmy Graham, that will open up a lot of catches for Spiller to get. At 5'11 and 200 pounds, Spiller has the build of a wide receiver and I could see Payton splitting him out some as a wide receiver. Spiller has had a history of fumbling the ball and must protect the ball better. DeMarco Murray and Ryan Mathews will be splitting carries in Philly for Chip Kelly. Mathews. They both have prototype size and speed. They are also both very good at catching the ball out of the backfield. They both have had problems protecting the football and staying healthy. Eagles head coach Chip Kelly is planning on splitting the carries between Murray and Mathews. Fantasy wise it is going to be hard to choose which one will have the better game each week. It will almost be a crap shoot as to which one will perform better weekly. It will really be boom or bust each week with these two.